RUM and gin drinkers rejoice - Husk Distillers is finally opening its distillery doors to the public. 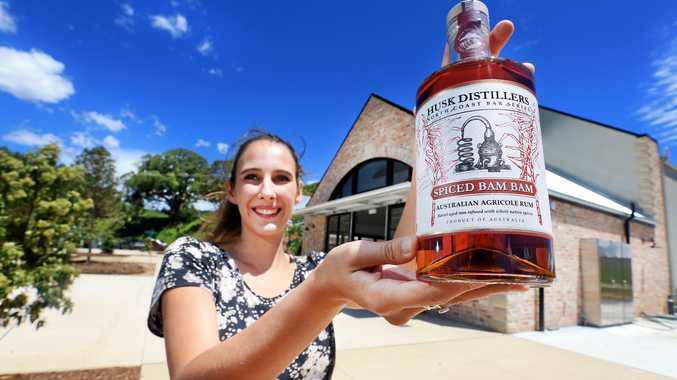 After seven years operating from their North Tumbulgum farm, the much-loved rum and gin family operated distillery will be open to the public in June. An official date is yet to be confirmed. "We'll be opening to the public with a beautiful bar serving cocktails and tasting paddles," Husk Distillers wrote on social media. "Our cellar door will be offering limited releases and previously sold out spirits. "Our distillery tours will give you a behind the scenes look into how we get from paddock to bottle, as well as a botanical exploration of Ink Gin. "The simple cafe menu will showcase local produce and special sweet treats, which you will be able to enjoy in the plantation inspired room or out on our expansive and fully licensed lawn, gin in hand." The distillery prides itself on making its products from paddock to bottle on site. The news was met with great excitement, with many fans of the brand commenting on the Husk Distillers Facebook page. Maria Lucas wrote: "Congratulations to all the very hard working staff! Can't wait for the grand opening." Jacquie Strudwick: "Drove past today and wondered how much longer we had to wait!" Karen Taylor: "Wow! It looks amazing, I'm looking forward to visiting with the family." John Ede: "At long last we get to see you all, congratulations on your efforts and to producing excellent products."